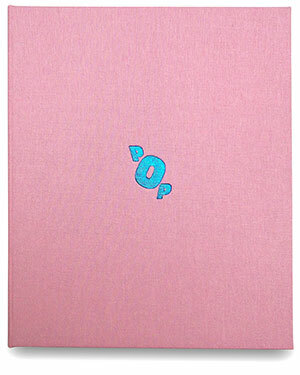 Paper covered with two colour screen print. The book has four different coloured cover options. 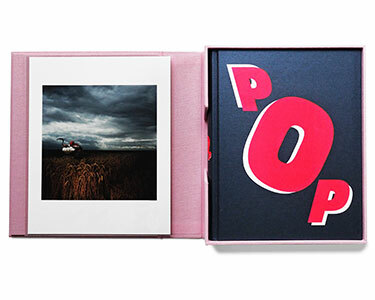 A signed book and a signed 10×8” print housed in a cloth bound clamshell presentation case. 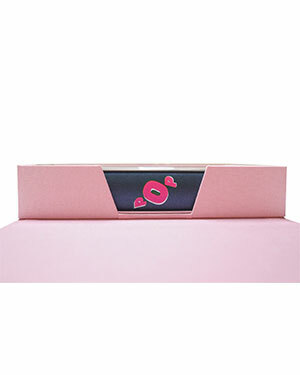 GOST Books will contact you directly after your order to enquire which print you would like. 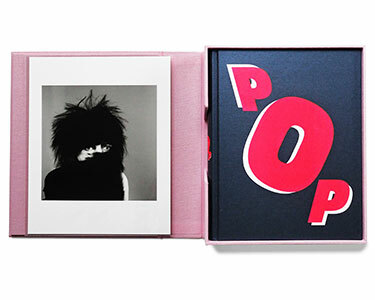 POP is a comprehensive exploration of the music photography of Brian Griffin shot for album covers, single sleeves, posters and press. The 350 pages of this new book are illustrated over 160 record covers from more than 100 bands and musicians including many which are previously unpublished â€“ including Ian Dury, The Clash, Depeche Mode, Echo And The Bunnymen, Iggy Pop, Kate Bush, The Specials, Elvis Costello and many more. 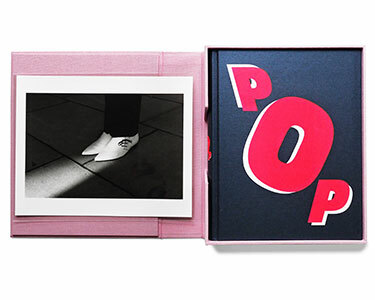 Brian Griffin first began photographing the music world for STIFF records in the late 1970s and soon became the predominant visual chronicler of New Wave, Post-Punk and the New Romantics. Working from his studio in Rotherhithe, often on low budgets and before the age of photo-shop, Griffinâ€™s technical naivety resulted in major visual invention. How these photographs were executed and the techniques which were employed or invented, is explained in a Q&A between Griffin and the author Terry Rawlings. Punctuating the photographs and album artwork, this conversation provides illuminating and highly-personal behind-the-scenes insights to this distinct creative period in music and visual history. Another section of the book contains portraits of important figures in the music industry such as the Beatles producer George Martin, Brian Eno, John Peel and Daniel Miller and portraits of the people that worked alongside Brian including stylists and builders of his light machines. Paul Gorman, author of Reasons To Be Cheerful: The Life and Work of Barney Bubbles, has written an additional essay on the close working and personal relationship between graphic artist Barney Bubbles and Griffin. There is also a description of what the area of Rotherhithe in South East London, where Brian had his studio, was like in the 1980s. The book will officially be launched at Soundedit Festival in ŁÃ³dź from 26-29 October 2017. An exhibition of over 30 photographs, many vintage, from the book, will be on display in a free exhibition at the Photographic Society of ŁÃ³dź to coincide with the publication of the book. Brian Griffin was born in Birmingham in 1948 and grew up in the Black Country. From the age of 16 he worked in a factory making conveyers, then as a nuclear pipework engineering estimator until the age of 21, when he went to study photography at Manchester Polytechnic. After graduation, Griffin moved to London with the intent of becoming a fashion photographer. It was here that he met Roland Schenk, the charismatic art director on Management Today, with whom Griffin continued working until the mid 1980s. 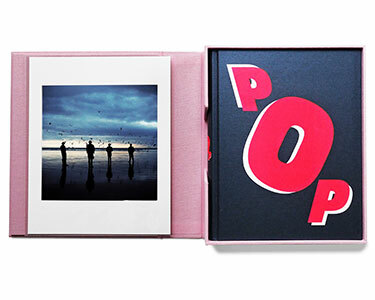 Griffin is recognised as one of the most eminent British photographers of the seventies and eighties and as part of the â€œBritish Photographers of the Thatcher Yearsâ€ with Martin Parr, Paul Graham, Graham Smith, Jo Spence and Victor Burgin, with whom he has exhibited in many exhibitions. In 1991, Griffin walked away from photography and began a career as a film-maker in advertising and the music industry. Throughout his career, over 20 monographs of Griffinâ€™s work have been published, his work has been the subject of over 50 international solo exhibitions and is held in collections institutions including the Victoria & Albert Museum, London; the Arts Council of Great Britain, London; the British Council, London; the National Portrait Gallery, London; the Museum Folkwang, Essen; the Birmingham Museum and Art Gallery; the Art Museum Reykjavik, Iceland; the Mast Foundation, Bologna; and the Museu da Imagem, Braga, Portugal. In 2009, Brian Griffin became the patron of FORMAT Festival and in 2013 he received the Centenary Medalâ from the Royal Photographic Society in recognition of a lifetime achievement in photography.